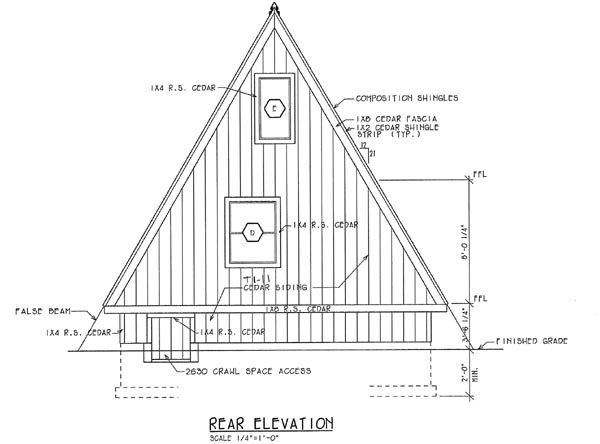 The A-frame's steep roof is designed to shrug off the deep snowfall of a mountain environment, yet, this cabin would be equally at home in any vacation setting. Although this is not a large home, a spacious feeling is achieved by the large open living room. From the living room you can enjoy the outdoors even from inside your home by absorbing the view through all the glass that is the front of the home. Or spend your leisure hours sipping a refreshing cool drink on your deck in the warmer weather while you view nature at its best. 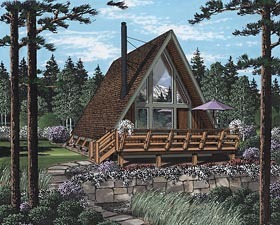 Retirement here would make living easy. Your bedroom, kitchen and storage is all on one floor. 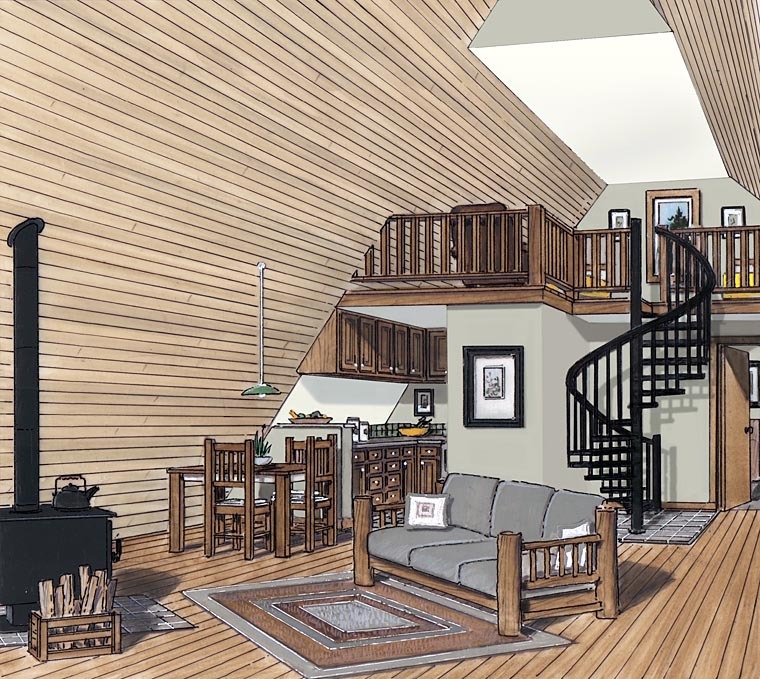 Yet, that spiral staircase will take you up to the loft for either more sleeping area or hobby space. 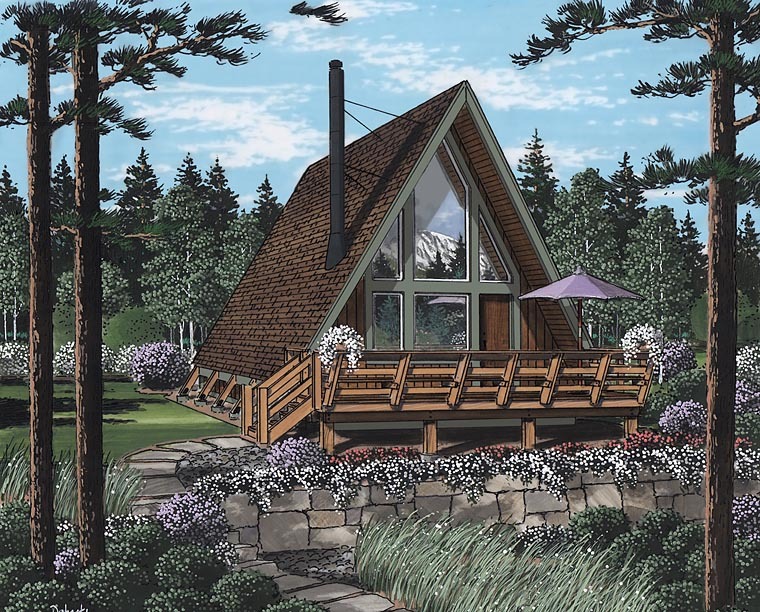 Whether accompanying the pounding surf of the ocean or the cool mountain air, you may find the simplicity of this A-frame to be just what you are looking for.